The holidays are wonderful for many reasons, but one of the things that tops the list is gift-giving. You don’t need to spend a lot to give a thoughtful and adorable gift, and I’m excited to share 5 of my favorite finds and affordable Christmas gift ideas. 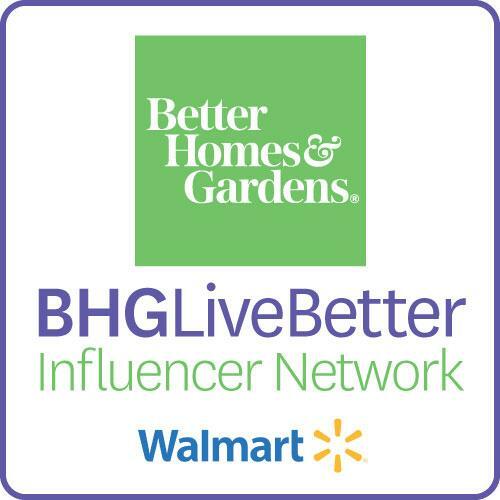 I’m honored to be a part of the BHG Influencer Network, and I receive compensation from Better Homes & Gardens at Walmart when I share my favorite finds with you. As always, all opinions about their affordable decor is 100% mine. I think baskets are such a versatile gift, because they can be used for so many different functions. I decided to fill this darling black chalkboard basket with a set of white towels. I love how it turned out, and the receiver can use this basket to hold towels, or use it somewhere else in their home. The 6 piece towel set was less than $20 (on sale right now! ), so this was a gift less than $30. The basket also comes in silver, which I loved too, but since I was bargain hunting, and it was twice as much, I went with the black. I do love the contrast of the black with the white! I wish your hands could reach through the screen and touch this throw–it is SO soft and cozy. It has a sherpa backing that you just want to melt into. We have a couple of them, and my kids all fight over them. I need to buy more! It comes in different patterns, but I absolutely fell in love with the black buffalo check. And…it’s less than $15! I love to give gifts that can be reused, or used in a different way than how I gave them, and this one is exactly that! I started with the cutest apothecary jar, filled it with hot chocolate mix, then tied on a darling tag with some ribbon. It’s less than $8, and once the hot chocolate is gone, the jar can be washed out and used in the kitchen, bathroom, or another room in the home. Love!! You could also fill the jar with yummy chocolates or something else too. The is a darling hostess gift! I fell in love with this lantern the first time I saw it, and it makes the most darling gift. I placed a small burlap tree inside, but the sky is the limit. 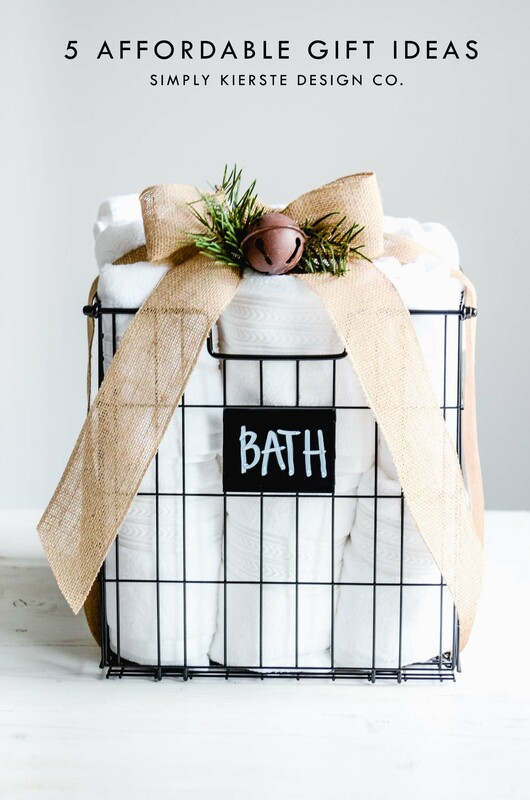 Fill it with candles, yummy treats, even a dishtowel and some hand soap–you can tailor it to the recipient. The lantern is so versatile, and can be used through the whole year! If there is someone in your life that loves and uses mugs, this is a darling gift! It could also be for someone that loves farmhouse style, because it’s adorable kitchen decor as well. I made a personalized mug using a stencil and Sharpie, and it’s super easy to do. Just draw on your design (or use a stencil) with Sharpie, then bake it in the oven until it’s cured. It’s super easy and super cute! (Directions here…) Or, choose a mug that fits the recipients taste or style–whatever they love. These affordable Christmas gift ideas are so darling, won’t break the budget, and perfect for friends, family, and hostess gifts!! May I ask were did you purchase all of these AMAZING items? ?